On the evening of September 19, the 60th anniversary celebration meeting of Ningxia Hui Autonomous Region was held in Helan Mountain Stadium. SOROTEC power frequency GP9335C series 500KVA UPS & 600KVA UPS were used in the meeting. The product design is highly integrated with digital technology, improving MTBF and reliability. 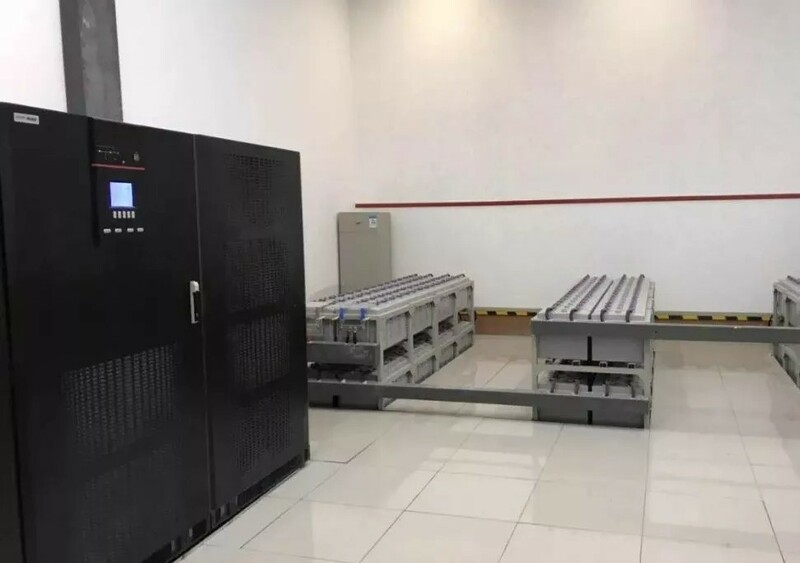 The whole system is controlled by a main control board is independent, with high speed DSP control inverter, 6 unit with free frequency modulation PWM, IGBT integration, to provide clean and stable output voltage, to ensure stable and reliable operation of equipment. During the celebration, SOROTEC dispatched technical engineers to the site throughout the day to ensure that the power supply system provides a 24-hour uninterrupted supply of stable, pure and reliable electricity. 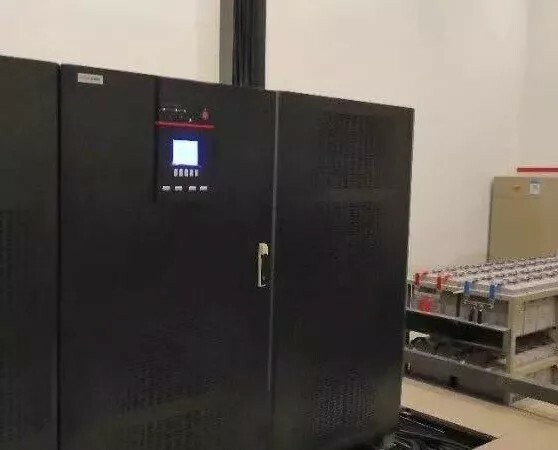 SOROTEC GP9335C series 10-800KVA products have been successfully applied to the State Grid/Southern Power Grid, PetroChina System, Military, Medical, Rail Transit, Banking System, Chemical Industry, Politics and Mining, Manufacturing Plant and various large-scale events, etc., and have been praised by users. 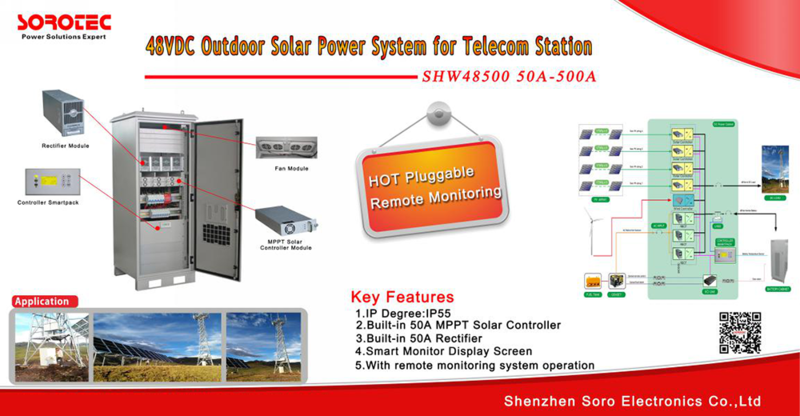 Shenzhen Soro Electronic Co., Ltd is one of the top-leading Power Supply and solar inverter manufacturer, to deploy Qinghai China Tower solar-powered base transceiver stations. SOROTEC installed the base stations, using a solar and diesel generator hybrid power solution to provide mobile connectivity in rural areas. The base stations will primarily be powered by harnessing solar energy without having to be linked to power grid.The diesel generator will be used as a backup. The new BTS Solar power system will improve GP’s network performance by preventing service interruption, a previously persistent challenge in Qinghai due to power instability. It will also lower fuel consumption and CO2 emissions, and reduce the cost of refuelling and site visits,thereby lowering GP’s total cost of ownership. These savings will offset GP’s capital investment in just two-to-three years. SOROTEC has developed a series of end-to-end green solutions for wireless broadband networks, using a combination of solar energy, wind power and diesel fuel. These innovative solutions aim to assist operators optimise energy efficiency, maximise their return on investment, fulfill their social responsibilities, significantly reduce the TCO in the product life cycle and enhance market competitiveness. Shenzhen SORO Electronics Co., Ltd customize products to meet different international standards and specific client request. And our products have been widely used in different fields,including electric power, avaiation, traffic, post service, public security,customs, government and other entities domestically and abroad. Thank you for your support and trust in 2017,and congratulate you on the arrival of the New Year and to extend to you all my best wishes for your perfect health and lasting prosperity in 2018. SOROTEC has been awarded the title of “intellectual property advanced enterprise of Baoan District, Shenzhen in 2017” , and has been funded by the government, and has been awarded the medal of intellectual property advanced enterprise. 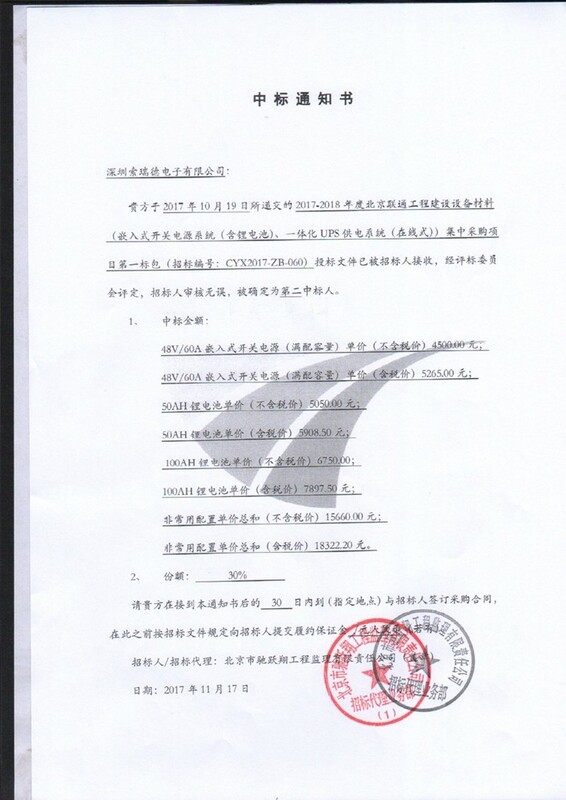 This year, the Baoan Bureau of Shenzhen market and the quality supervision and management committee carried out the accreditation of “intellectual property advanced enterprise of Baoan District in 2017”. As a key role to improve the enterprise exemplary work in Shenzhen, “intellectual property advanced enterprise” mainly belongs to the development of industry in Shenzhen, the state and the city to undertake the major industry development projects, with independent intellectual property rights ability, actively carry out the protection and make use of intellectual property rights, the establishment of a comprehensive the intellectual property management system and mechanism, with the comprehensive strength of the enterprises’ intellectual property rights. SOROTEC combined with their actual development, actively strengthen the work of intellectual property right system and management system construction, improve the ability of independent innovation, it has made great progress in intellectual property since the company has founded, it has been identified as the annual intellectual property advanced enterprises of Baoan District in 2017. 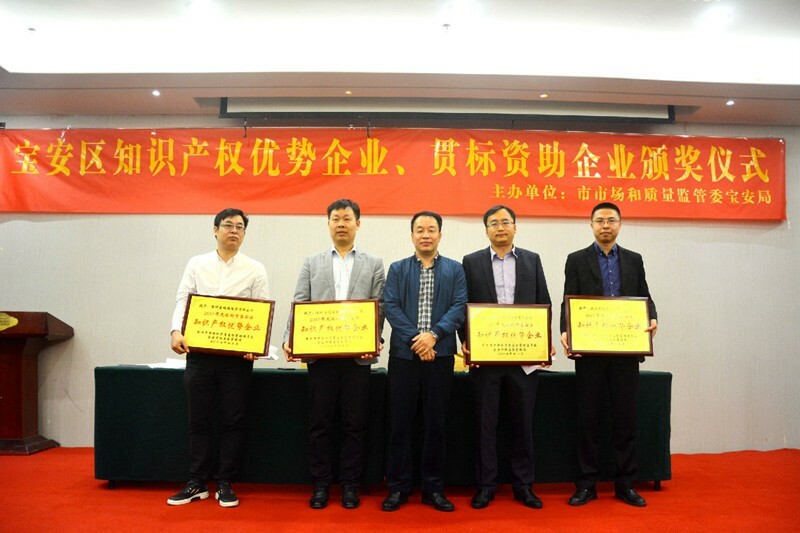 In the afternoon on Nov 29th,2017, Baoan Bureau of Shenzhen city market and quality supervision and management committee held the awards ceremony of intellectual property advanced enterprises in Baoan District and government-sponsored enterprises in Baoan Baolifang International Hotel, Chairman of the company Mr. Chen Weihuan on behalf of the company to participate in and receive the Bureau’s cordial reception. 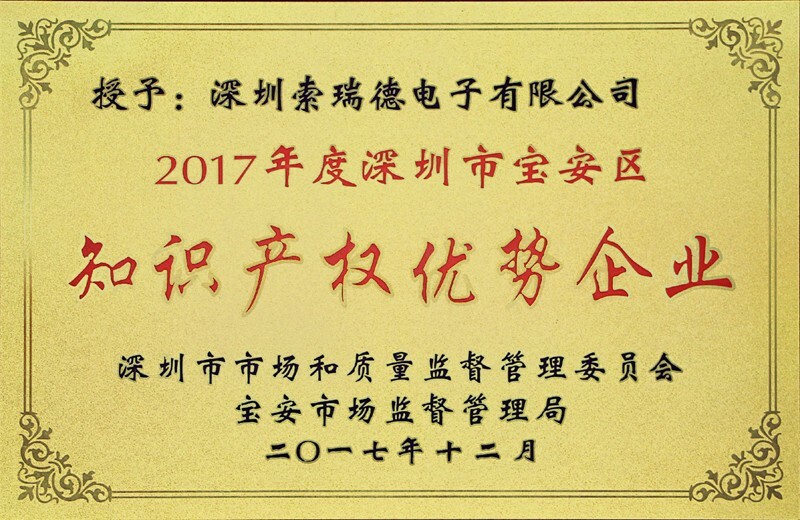 The honorary title of “intellectual property advanced enterprise of Baoan District”, it not only on behalf of the government department recognize our technological innovation strength, but also make good use of the innovation platform of government, continuously enhance the company’s innovation and brand building ability, leading industry technology development to create good conditions. In the future, we will actively do a good job of the demonstration and promotion of intellectual property, and make greater contributions to the construction of a national innovative city. 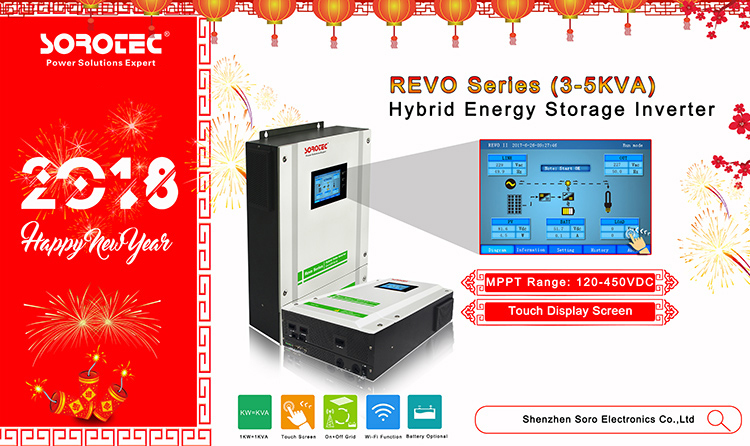 Shenzhen Soro Electronics Co., Ltd is engaged in high-tech enterprise specializing in the development and production of products in the field of power electronics. Through years of accumulation and development, SOROTEC has become one of the largest and most large-scale high-tech power enterprises at home and abroad. 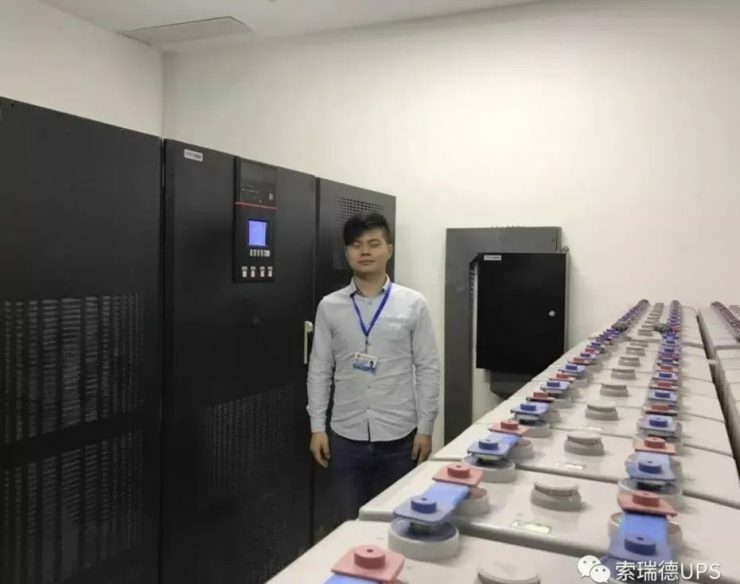 SOROTEC won the bid for 2017-2018 Beijing Unicom project construction equipment and materials centralized purchasing project (embedded switching power supply system (including lithium battery) and integrated UPS power supply system (online)). SOROTEC won the unanimous approval of the expert group in the bidding process, reasonable price, high quality products, perfect service system is the reason, especially in recent years, our sales and service to get the praise of many customers, brand marketing also made a good preparation for this bid. The winning bid is of great significance for SOROTEC. On the one hand, it is highly affirmative of SOROTEC products, and it is also the trust of our brand. 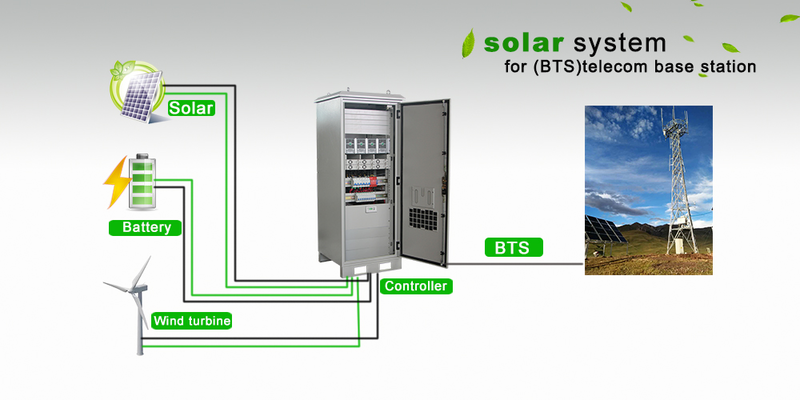 In the long-term application, we rely on the operating mode of advanced technical strength, safety, green innovative product concept, perfect service system, and major project ability, win the majority of user acceptance, in the rapid development of telecom technology background, will continue to strengthen cooperation with major operators, to consolidate and improve the SOROTEC advantage in the telecom industry on the market, and better service Chinese telecom industry. SOROTEC is a state-level high-tech enterprise specialized in the development and production of electronics and new energy products. Through years of accumulation and development, we have become one of the largest and most large-scale high-tech enterprises in the domestic power industry.